Recently, we shared with you the stories of a few patients who were able to find relief from their very first chiropractic appointment. While most patients find some relief after their first adjustment, more complicated cases usually take a bit longer to resolve completely. With patience and persistence, the results are nothing short of amazing. When we first met Ramona, she was suffering from debilitating headaches. The headaches were so bad that she didn’t think she could continue in her job, working as a flight attendant. She was at a loss. She had seen numerous other doctors, including neurologists and other chiropractors and no one could help her. When she came to us I examined her and took X-rays. 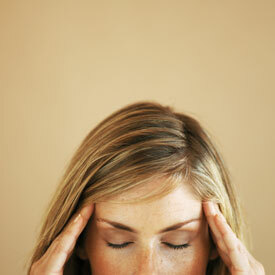 I immediately could see what was causing the headaches. I explained to Ramona that it would not be easy to fix, but with a little patience we would be able to get her through this. Well, that was more than 20 years ago. Ramona didn’t miss any more work after that initial appointment and she continues to be our patient today. She responded well to chiropractic and is able to live free from headache pain. Laura came to us with two lumbar disc herniations and sciatica so bad that she was having trouble doing her job. She didn’t want to have surgery so she came to us for help. I reviewed her MRI, examined her myself and took some X-rays. I discovered that her problems stemmed from the fact that her sacrum was flexed or tilted forward. I knew if we could stop her sacrum from tilting forward, she would be fine. After her first adjustment, Laura remarked, “That felt great!” With each adjustment, Laura felt better and became stronger. She’s had a few flare ups and a recent fall coupled with some overly vigorous exercises that set her back a bit, but she’s doing very well now. With two cervical disc herniations, Margaret’s pain was so bad she just couldn’t get away from it. She had a hard time getting her left arm to function normally. I worked with her to get her through the acute stage. On her regular visits, I adjusted her and added supplemental therapies like acupuncture and postural exercises. By the time Margaret next saw her neurosurgeon she had no symptoms and was sent back to us for her primary care! We love to share stories about our patients’ success. Maybe you are our next success story waiting to happen. Don’t wait another minute to find the relief you need! Dr. Kris and Dr. Bob seem to know just what to do to help relieve my chronic back and sitting pain. I am lucky to have found them and do plan on continuing with their care. I highly recommend them both. Thank you Charlotte! We are happy to serve you and glad we can help!